Downtown Tampa and Downtown St. Petersburg beam with local pride. Both feature unique, local flares that draw visitors from far away and just across the bay. Tampa residents often cross the Howard Frankland Bridge on I-275 to bask in the relaxed, idyllic charm of downtown St. Petersburg's parks and promenades. Meanwhile, locals in St. Petersburg cross the bay to cheer on the Tampa Bay Lightning at Amalie Arena or enjoy the invigorating flavors and flare of Ybor, Channelside, South Tampa, or Tampa Heights. 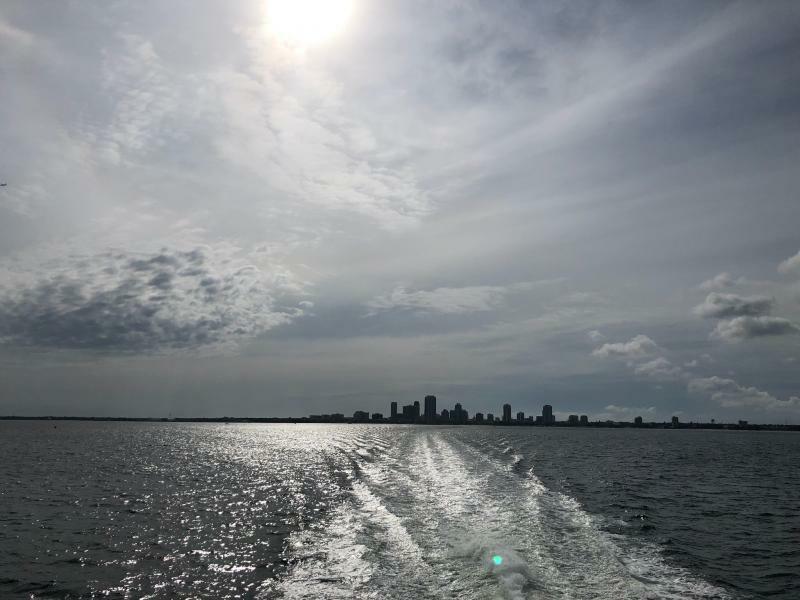 For years, the only connection between Downtown Tampa and St. Petersburg was by car or bus, yet that all changed a few years ago when the Cross-Bay Ferry came along. Operated by HMS Ferry in Seattle as a “regional effort designed to demonstrate water transportation technology and service options to the residents and businesses of the Tampa Bay region,” the ferry runs Tuesday through Sunday with departures twice a day from each city Tuesday through Thursday, four times a day on Friday and Saturday, and twice on Sunday. There is no service on Mondays. 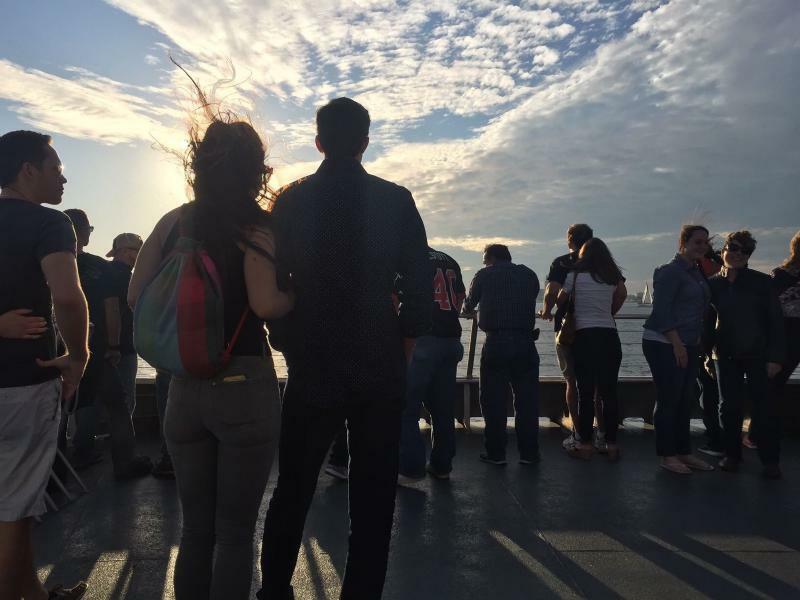 What is it like to ride the Cross-Bay Ferry? For this season, the ferry operates between November 1, 2018 and April 30, 2019, so I had to check it out for myself before the season came to an end. I made sure to book my tickets about two weeks in advance due to the ferry’s popularity. Many weekend rides sell out fast! Tickets were a very reasonable: $8 each way, per person (kids aged five to 18, $3; seniors, college students, and military, $5.). I selected tickets to depart Tampa at 11:30 a.m. and return from St. Petersburg at 4:45 p.m. The trip across the bay is about 50 minutes each way, so this would give us about four hours to explore Downtown St. Petersburg. 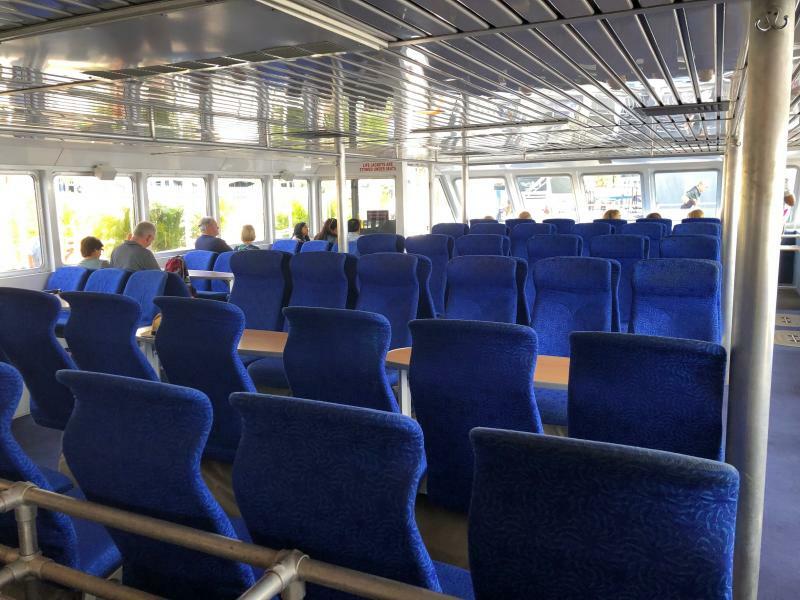 Buy tickets for the Cross-Bay Ferry! My wife and I set out for our “day trip” to St. Petersburg via the ferry and parked on the street near the Channelside Parking Garage. I used my ParkMobile app at a rate of $1.10 an hour, but other parking options are available. We walked along Channelside Drive near Sparkman Wharf and waited in line for a few minutes among a flock a green t-shirts and green beads. It was the day before St. Patrick’s Day, making it the perfect opportunity to head over to St. Petersburg to celebrate the Irish holiday at a local festival on Central Avenue. Before boarding the ferry on the Tampa side, you must cross through the splash pad zone at The Florida Aquarium and line up right next to the American Victory Ship. The Cross-Bay Ferry conveniently has its own app that allows you to download tickets, which were scanned right before we boarded, and, before we knew it, we were off! 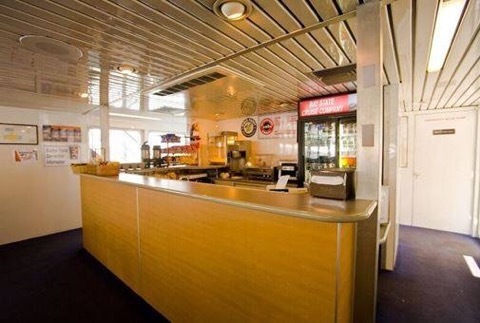 The ferry itself has very comfortable seats and tables (in the lower section) and features an on-board bar to purchase drinks. You can also move about the ferry as you please. The upper section is open but has a covering and adequate seating. Additionally, if you’d like, you can sit or stand on the bow of the ship, which gets a bit windy but offers you a front seat to the wonders of the Bay. As we set out from Channelside, I, a Tampa native, saw a side of my city and the Bay that I had never experienced before: the picturesque and colorful houses along Harbor and Davis Islands, dolphins swimming gracefully in the water, and pelicans and seagulls gliding through the air. As the cruise along the bay on the Provincetown III continued, the skyscrapers of Downtown St. Petersburg grew larger and larger. Upon entering the marina in St. Petersburg, we floated by a reggae festival at Vinoy Park. The Cross-Bay ferry docks at the marina in St. Petersburg right at Straub Park. Conveniently, there are free buses via the Downtown Looper and Central Avenue Trolley that will take you all over Downtown St. Petersburg. 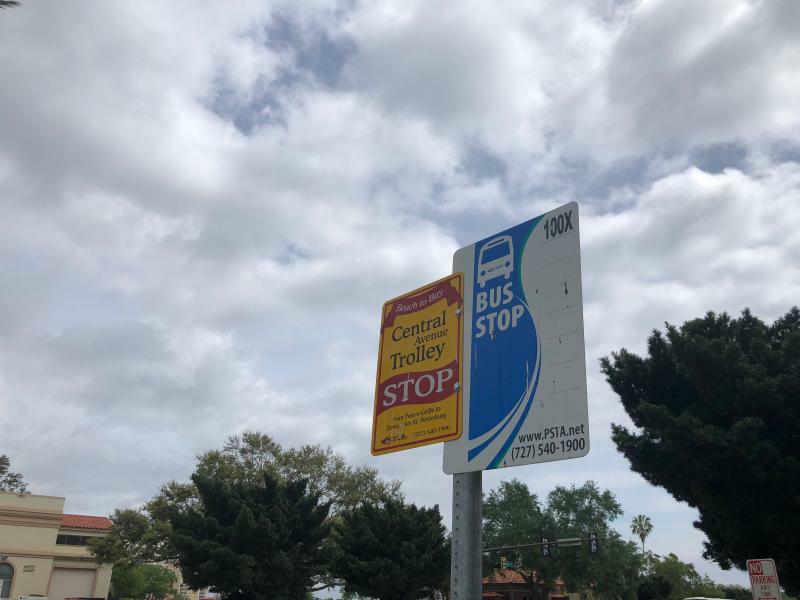 Check out the schedules for the Downtown Looper and Central Avenue Trolley! We decided to walk along Central Avenue, St. Petersburg's main thoroughfare to a a whole world of incredible food and drink that can satisfy even the most diverse palettes. We passed the spectacular St. Patrick’s Day festivities on Central and enjoyed some delicious burritos and tacos in the Edge District on at Red Mesa Mercado (Red Mesa Cantina's Central Avenue location right next to Green Bench Brewing Company). Later, we grabbed some refreshments at Cider Press Cafe, a beautifully bright, colorful vegan and vegetarian-oriented restaurant that serves up St. Petersburg's most delectable plant-based cuisine. It was very different visiting this familiar city for the first time without a car. We were able to see things at a slower pace and really take in the ambiance of the local shops and restaurants. Also, I must admit that it was a relief to be a bit detached from technology. We didn’t have to look up directions knowing that as long as we stayed on Central Avenue, we’d be able to access a variety of food and experiences and easily return to our starting point. On the return trip, we waited for a short time in line with many decked out in Tampa Bay Lightning gear. It made sense that many would take the 4:45 p.m. departure from St. Petersburg, cross the bay, enjoy the game, and head back on the 11 p.m. ride back. Most of those coming off the boat into St. Petersburg were dressed in St. Patrick's Day apparel. They were most likely returning from the celebrations at Curtis Hixon Park in Tampa. Curtis Hixon is just a short ride from the ferry's Channelside dock on the TECO Street Car or Uber. 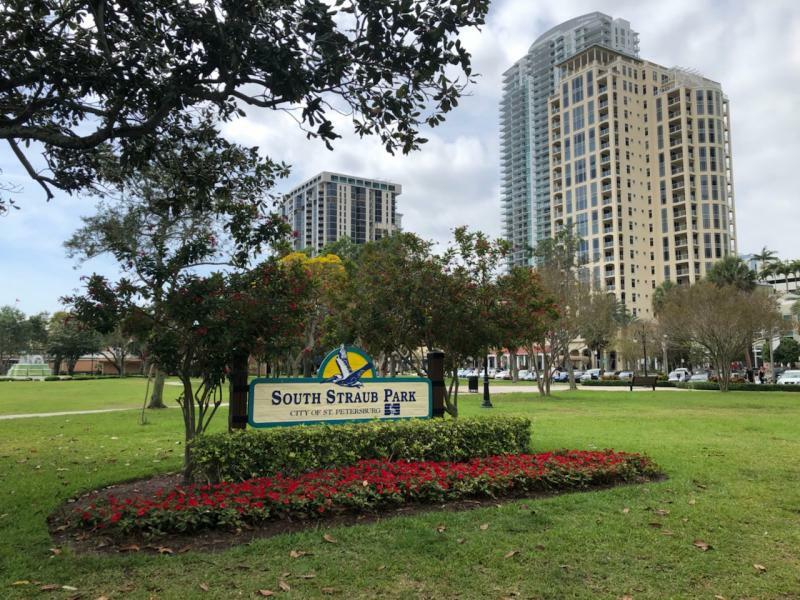 For those living in St. Petersburg, there's the convenient option to park at SunDial for free (with a pass provided upon request by ferry staff) and walk or Uber over to the departure point at the marina at Straub Park. As we set off toward Tampa, the ferry took the same route. No dolphins this time, but we did pass a couple of cruise ships and enjoyed the pristine weather of the later afternoon. As we arrived, Lightning fans started chanting and getting excited for the game while others headed to Sparkman Wharf to enjoy the variety of food and drink options. We exited through the Florida Aquarium and walked back along Channelside toward our car. Altogether, this was a fantastic and unique experience. The ride and the process of boarding and embarking were all very smooth. Also, you can't beat a $16 round-trip ticket to avoid traffic, save gas, and take in the Bay area’s sights and sounds at a more relaxed pace. When I've planned trips to places like New York City, Chicago, or Washington D.C, I've never thought twice about renting a car. The public transit systems in these metro areas allow visitors to move out and about, quickly and efficiently. I'm excited that Tampa and St. Petersburg now essentially have this same option (at least during certain times of the year). One could book a hotel or Airbnb in either Downtown St. Pete or Downtown Tampa, take public trolleys or street cars to the most exciting and flavorful areas in each city, then cross the bay to discover the smorgasbord of food, nightlife, and entertainment in the next- all without having to pay for a car rental! Both cities have indeed come a long way in the past several years and it's exciting to explore both without the hassle of traffic, having to pay for gas, or be limited to two-hour parking (like in St. Petersburg). 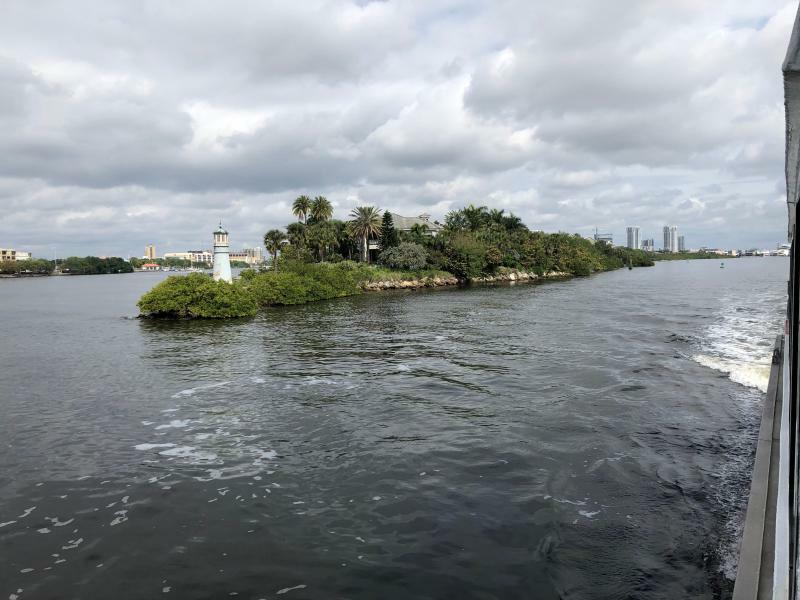 The ferry is part of the vision of Ed Turanchik, an HMS Ferry attorney and Tampa mayoral candidate, who envisions connecting Downtown Tampa and Westshore to St. Pete and potential other connections to land-transit. 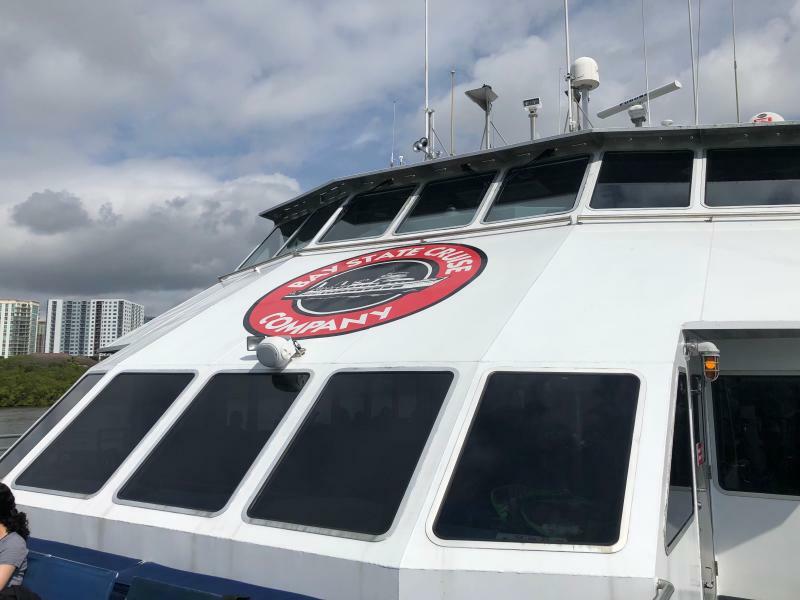 While it remains to be seen if the idea of a year-round ferry will “take off,” the idea has become more and more popular over the years with weekend tickets selling out, especially during Gasparilla season. Only time will tell if the idea of a “cross-bay” ferry becomes a permanent fixture in the Bay area. In the meantime, be sure to experience the ferry for yourself while you still can! Find more fun things to do in Tampa Bay by registering on 813area or 727area, your free guides to everything in the Tampa Bay area!